We encountered this corner of the property with its sagging concrete block low retaining wall and an empty bed of mulch. Improper construction methods caused this problem. 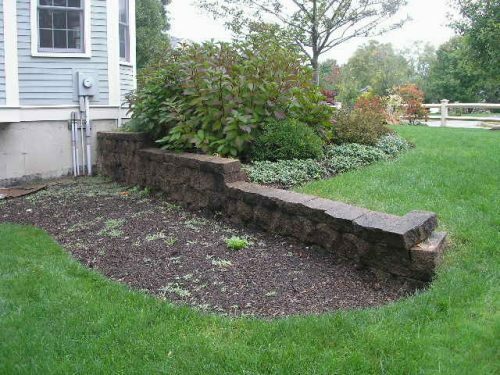 Our designer proposed a fieldstone wall, a material more in keeping with those used elsewhere on the property. Most of the shrubs above the wall were temporarily moved out of the way of the deconstruction and rebuilding work. We installed a proper base using traprock for drainage, allowing for frost heaving and settling over time. The finishing touch was a new planting to dress up the blank wall of the house. 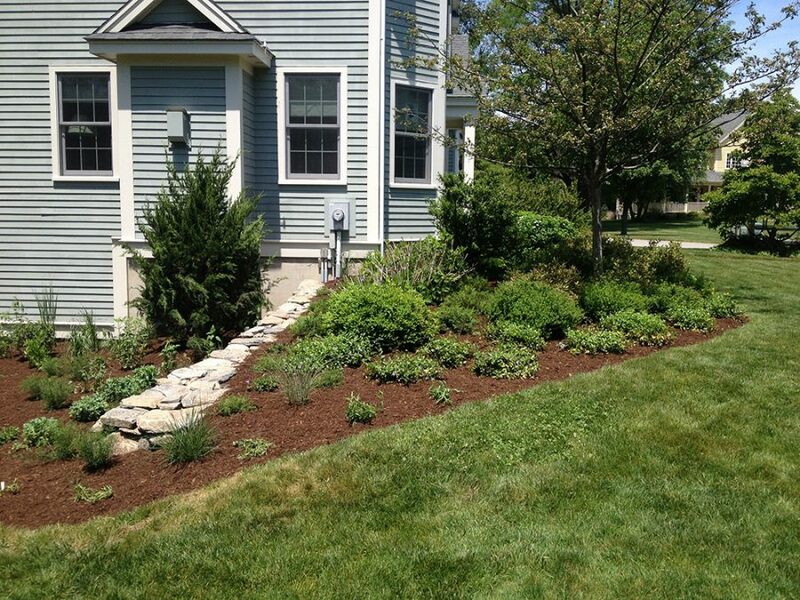 Anchored by a drought-tolerant juniper, beds of ornamental grasses and native pollinator plants brighten this corner of the yard in high summer.